Jon Norris, the daytime baking production manager at Ramone’s on Harrison in Eureka, gets on the phone. Mad River Farm Kitchen makes jam. I leave a message on the machine, and the next day Marika Myrick phones back. Nope she says, they don’t do thimbleberries. 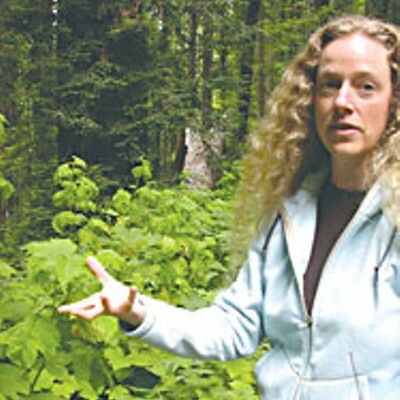 Kjirsten Wayman stands in the trail and gently rubs the back of a thimbleberry leaf with her fingers. She holds her hand to her nose and smiles. It’s a sunny day in the Arcata Community Forest. Wayman is an organic chemistry professor at Humboldt State. She has blue eyes and long, wavy blond hair. And she has a superpower nose. She can smell carrots. Her friends tease her about it. Since that day on Trinidad Head seven years ago, the thimbleberry has become her favorite plant. The smell has haunted her. It’s a bit like lemon. Or pine. Or both. She wants to know what the compounds are that give it that scent. So she’s heading off to New Zealand to spend the summer working with the Plant Extracts Research Unit at the University of Otago, learning extraction techniques. “Stems, leaves, roots -- you separate out all the individual compounds and identify them,” she says. Nobody’s done this for the thimbleberry. She’ll come back to HSU, carve out a spot in the tiny, underused laboratory space allotted the chemistry department, and be the first. Often, she says, scientists do close, chemical studies of a plant because they want to discover new compounds that may have some sort of practical application -- in medicine, for example. 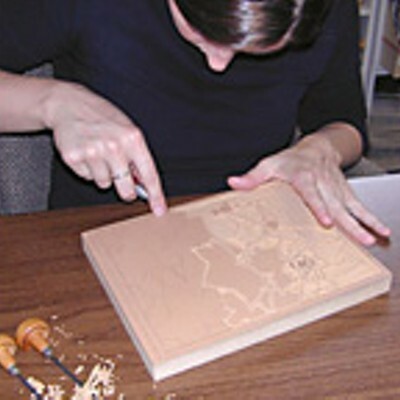 But she’s more interested in providing an interesting project for her botany students. And just pure discovery. As we leave the forest, Wayman shares some thimbleberry intelligence with me. Enough for jam? A pie? Here’s the thing about thimbleberry, though. You can find it in backyards and along trails, no problem, but its berries seem to go off one at a time. It flowers throughout its fruiting season -- which is short, mostly in July -- so one plant can have a flower with a bumblebee spinning inside, next to a group of berries, which might be anywhere from hard green to pale pink to ripe, dark red. The western thimbleberry, Rubusparviflorus Nutt., stands tall. It’s a member of the rose family -- Rosaceae -- and related to blackberries. But unlike all of its relations , R. parviflorus has no prickles. Its leaves are different, too: huge, simple, maple-shaped and covered in tiny soft hairs that make it as soft as Charmin. The leaves alternate up the tall stocks. And, though “parviflorus” means “small-flowered,” the thimbleberry has one of the largest flowers in the rose family. The thimbleberry was misnamed back in 1818, when English naturalist Thomas Nuttall set foot on an island in Lake Huron and unwittingly grabbed an unusual specimen. It had small white flowers, but today botanists recognize that the norm for R.parviflorus is big white flowers. 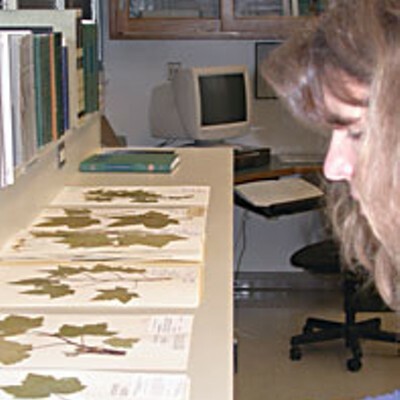 As for Rubus , that means “brambling,” and the thimbleberry “doesn’t do the brambling thing,” says Robin Bencie, taxonomy professor and collections manager for the herbarium at Humboldt State University. “It doesn’t make those arching branches, with the re-rooting stem tips,” like blackberries do. But the thimbleberry’s large leaves and its tendency to grow close together and spread through its roots, sending up new shoots, makes it capable of becoming a wall of green that can tower five feet or higher, especially in sunny places. The berry itself is strangely compact. Like blackberries, says Bencie, the thimbleberry’s berry is a coalescence of a bunch of tiny little fruits that merge to form one entity. But the thimbleberry seems to have more of these per berry -- think of them as tiny, individual cherries -- and the result is a dryish, soft, seedy morsel. Another distinguishing feature: When you pick a blackberry, the fruit falls off the stem, pithy “receptacle” (female part) and all. When you pick a thimbleberry, or a raspberry, the aggregate fruit peels off, leaving behind the receptacle. That leaves you with a hollow berry that can fit on the tip of your finger. Just to confuse things, consider their relative, the strawberry: “It’s equivalent to the receptacle left behind on a raspberry,” says Bencie. 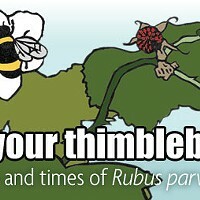 Thimbleberry isn’t rare on the North Coast. It’s all over Trinidad Head, it’s in generous clumps in the Arcata Community Forest and it forms intermittent hedges alongside just about every road leading into the mountains. It thrives on the dry slope of Horse Mountain. Prevalent in the West, R. parviflorus leaks into an outpost in South Dakota, and then flourishes around the Great Lakes states. It can grow in nearly any soil condition -- as long as there’s some water -- and at elevations ranging from sea level to 8,000 feet. It can spread by seed or root. It loves disturbed areas. “Here” is the Keweenaw Peninsula -- specifically, the “Copper Country” of Michigan’s Upper Peninsula. Beaudoin says they have thickets of wild thimbleberries, and that there are several other jam makers in the area, and “everybody’s got their secret patch.” And although there are enough berries to make jams and jellies, even in Keweenaw the thimbleberry is a special treat, because compared with other types of berries it’s an underproducer. Monks? 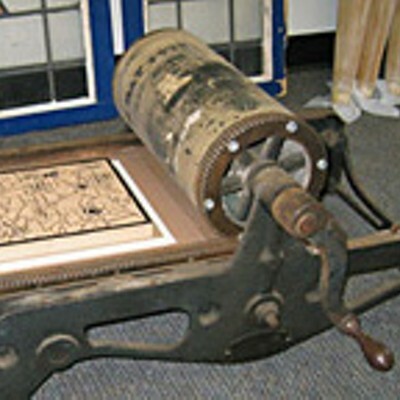 The Holy Transfiguration Skete, Society of St. John, runs a business called The Jampot. And, yes, their website displays some slightly higher pricing. The monks don’t answer my e-mail explaining my mission to find out why they make thimbleberry jam. But it is thimbleberry picking season, so they are forgiven. This 2003 thesis, on the Keweenaw Peninsula’s jam industry, turns out to have been researched and written by a Michigan Tech forestry grad student named Jason Anderson. OK, it’s niche. 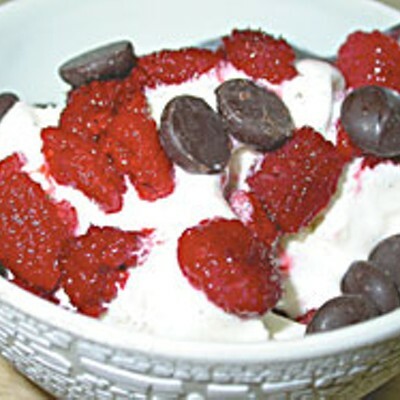 But this weekend Keweenaw County is celebrating its 8th Annual Thimbleberry Festival, complete with thimbleberry sundaes. They are hairy. And the seeds, though soft, are many, and get stuck in your teeth. O’Dell says even wildlife “underutilize” thimbleberries. “I’ve eaten them from Canada to Northern California, I’ve worked all over the country cruising for wood, and I never found one where I thought, ‘By gawd, here’s a secret patch I’m going to go back to.’” O’Dell says the plant doesn’t cause any trouble, as it apparently does in some places -- shading out young tree seedlings trying to sprout. He mentions more, but it’s time to move on -- he’s made me think of poetry. But it’s a common mistake. Some supposedly scientific guides to edible plants have been known to say that another name for thimbleberry is salmonberry. They’re wrong: The salmonberry’s leaves are compound, like a blackberry’s, not simple. It has prickles. Its berries are big, fat and juicy -- and not very sweet. Like the thimbleberry, though, the salmonberry plant grows tall and lofty, as opposed to arching and brambly. The salmonberry’s fruits are also few and far between -- and they do seem to float, dangling orange orbs in green space. They’re ode-worthy, too. A Swainson’s thrush trills from the red elderberry bush as Jim Popenoe stands poised with a long-nosed shovel in a sunny patch of his sprawling, picture-perfect garden near Patrick’s Point State Park. The ocean’s close by -- you can hear the barking of the sea lions resting on sea stacks below the cliff. Popenoe has cultivated everything here: azaleas, currants, thimbleberries, huckleberries, salmonberries, poisonous twin berries and more. 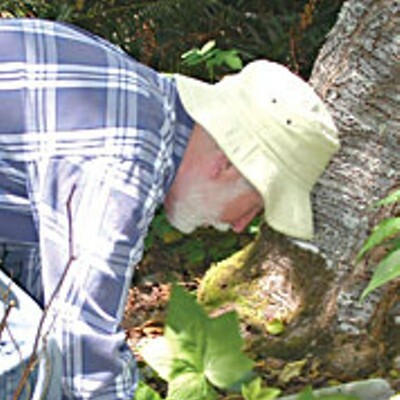 He pushes the shovel into the ground and heaves up a small thimbleberry stock. He walks it over to a shady, bare spot in another part of the yard, digs a hole there, and puts the transplant in. They’re a choice landscape feature: graceful, leggy and tall in the sun, shorter and showy in the shade, with stocks that last two to three years before dying. And, always, young stocks coming up from the rhizome spreading underground. The only plant he discourages is the Himalaya blackberry. He rips it out as soon as it shows its face, and maybe plops a thimbleberry in there to quell it. Popenoe, a retired plant ecologist and soil scientist who worked for Redwood National Park, says they’re easy as pie to propagate. So, why doesn’t anyone really go to town with them commercially? Storre says he loves the berry. Dr. Larry Alice, of the Department of Biology at Western Kentucky University in Bowling Green, says he can’t really speak to the jam question. 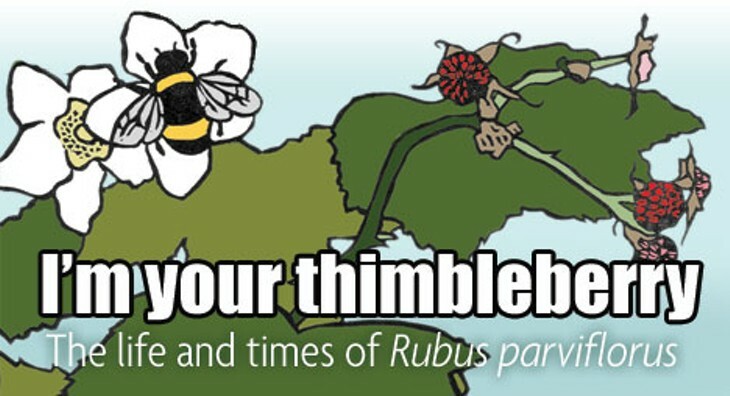 Or even to thimbleberry’s unique place in the world. It’s one of the less interesting species in the Rubus genus, in fact. Simple leaves. No prickles, which according to Alice means that it’s “one of the more ancestral groups within Rubus .” It evolved earlier in time than the more complex species in Rubus , which developed prickles. Alice is interested in the genus as a whole. “I selected Rubus as a group to study because of its taxonomic difficulty, economic (fruit crops and ornamentals) and ecological (invasive weeds) importance, and overall abundance (found on all continents except Antarctica and particularly common in the Northern Hemisphere),” Alice says. “ Rubus is arguably the most difficult plant genus in the world taxonomically.” And that, he says, means he’ll have “a lifetime of work.” He hopes to write the master book on Rubus someday -- a monograph, with illustrations and photos. But he does offer one neat historical note about R. parviflorus . It’s nearest relative is Rubus odoratus , purple-flowering raspberry, found in the eastern states and provinces. 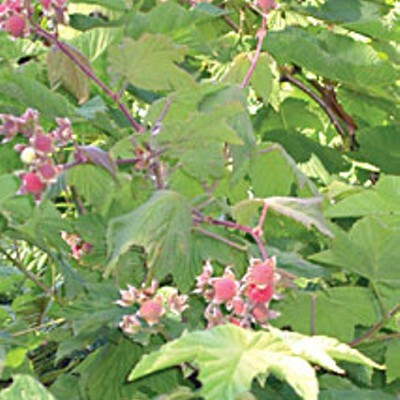 Native American Ethnobotany, a database based at the University of Michigan-Dearborn’s website, contains a list of more than a hundred uses of thimbleberry by indigenous people, from medicinal to culinary. Blackfoot “diviners” gave the berries to people with pulmonary disorders. The Cowlitz applied a poultice of dried leaves to burns. The Karuk made an infusion of roots to treat “thinness” (to stimulate the appetite). The Kwakiutl decocted the leaves to treat stomach trouble. The Okanagan-Colville used a root mixture to treat pimples and blackheads; their young people also rubbed the leaves on their faces for the same purpose. Indigenous people ate the berries and young, green shoots -- cooked, dried or raw. Bob McConnell, cultural resources manager for the Yurok Tribe, says he’s heard that his ancestors picked the berries and dried and mixed them with meat. And he’s also heard of the “thinness” tonic. Wikipedia says: “Thimbleberry jam is easily made by combining equal volumes of berries and sugar and boiling the mixture for two minutes before packing it into jars.” You don’t need to add pectin, apparently, because thimbleberry is naturally loaded with it. There’s a tiny wasp. And for Diastrophus kincaidii Gill. , the thimbleberry is house, planet and universe. And there are at least three aphids likewise completely homebound on R. parviflorus . James K. Wangberg wrote a thesis about this fauna in 1973 when he was a student at HSU. And local authors Peter and Judy Haggard have an entry on D. kincaidii in their book Insects of the Pacific Northwest, published last July. 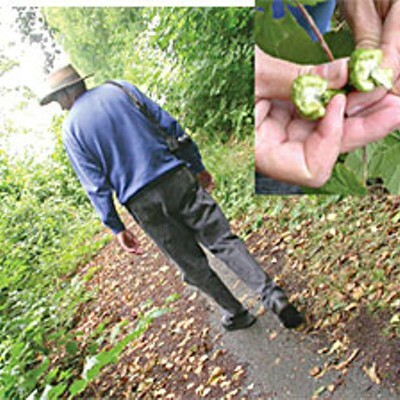 He lifts up the dense shrub canopy as we walk, and eventually finds a fat green swelling on a thimbleberry stock. He breaks off the plant and cracks open the gall. It’s white and pithy inside. “In the spring, she lays ’em,” he says of the female wasp. “They hatch within a week. And then they start eating and growing.” In the fall, they pupate, and that’s how they spend the winter, in the halfway stage between immature and adult. By the next spring, the pupae have become adults and chew their way out of the stalk. But they stick around on the plant, and eventually after poking about a bit the females put their ovipositors down into a new spot and start the whole process all over again. 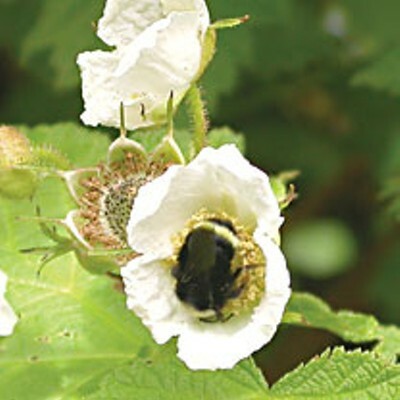 A yellow-faced bumblebee alights on a thimbleberry flower. A few inches above it, a pair of damselflies dances in the air.